December is well underway, and I’m full of festive spirit – particularly focussing on the first part of the traditional “eat, drink and be merry” command. When I was young, Christmas was all about the presents: shiny new toys, snuggly warm pyjamas, massive animal-shaped slippers. 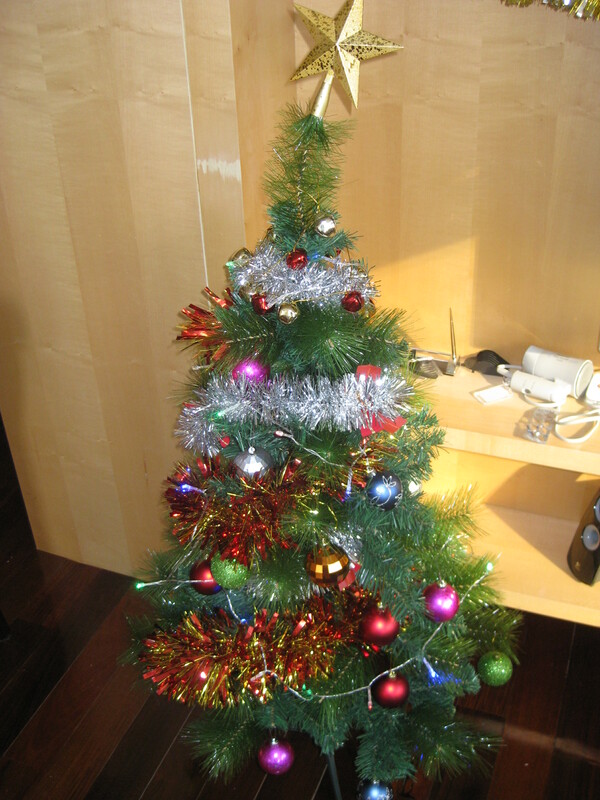 Now I still love the festive season just as much, but for different reasons. That’s not to say I don’t still enjoy the presents, but that part of the day is less important to me now. In my family Christmas is predominantly a time for good food and quality time together. And this weekend I got the “good food” part started by baking some delicious mince pies to devour whilst decorating the Christmas tree. As a child I was never a fan of mincemeat or Christmas cake, but as I get older I find that my tastes are changing. I’ve never made mince pies before, but was keen to give them a go this year. Initially I feared there would be no mincemeat available to buy in jars in Hong Kong, then by the time I realised there were vast stocks in the western supermarkets, I’d already got my heart set on making my own. I used the recipe from Sweet Mabel and it worked a treat – it filled the house with a lovely Christmassy aroma, is keeping well in its jars and made a delicious filling to the pies. 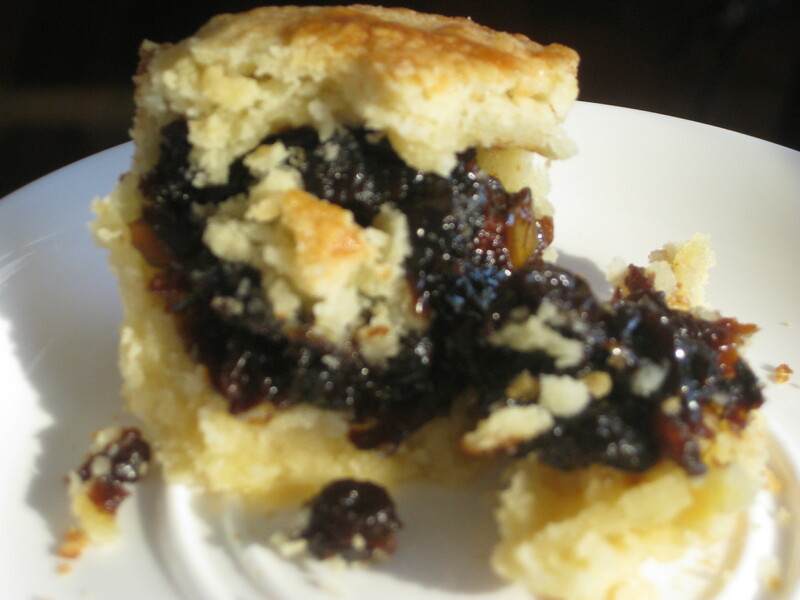 Of course, shop-bought mincemeat works just as well in these pies. I only made four pies this time, and am going to whip more up as needed (yes, needed) in the run up to Christmas, including some topped with crumble rather than the usual pastry lid. The pastry recipe I used was just slightly adapted from BBC Good Food, and chosen simply because it requires no rolling or chilling of the pastry which suited my time and utensil constraints. 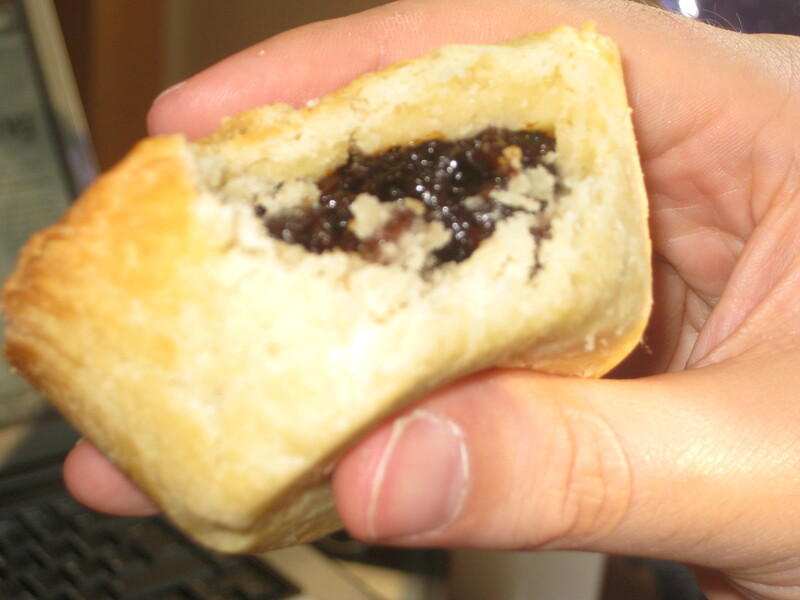 The pastry was quite sweet and shortbread-like, and complimented the mincemeat beautifully. They came out absolutely divine, and were a welcome treat whilst stringing up the tinsel and listening to Christmas songs. A very promising start to what I hope will be a prolific festive baking season! 1. Preheat the oven to 200C, and grease 12 holes of a cake or muffin tin (mine was a muffin tin, so they turned out rather hearty!). 2. Rub the butter into the flour until it resembles breadcrumbs, then mix in the pinch of salt and sugar. Pour in about half the egg and bring it together into a ball. 3. Tear off a bit of the dough, roll it into a ball then gently flatten it, until it is big enough to line the hole in the tin. 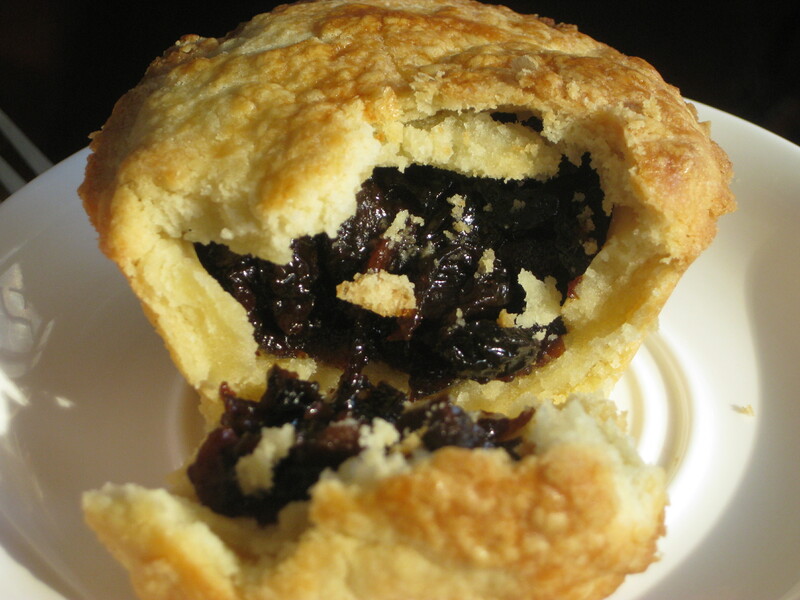 Fill the hole with a generous helping of mincemeat, then tear off a smaller ball of dough and flatten it out to make a lid. Repeat with the rest of the dough and mince. 4. Bake for 20 minutes. Allow to cool a little in the tin, then turn out gently. You can dust them with icing sugar if you like, or leave them plain as I did. Best enjoyed with a bit of Christmas music playing! This entry was posted in Vegetarian Recipes and tagged baking, Christmas, mince pies, mincemeat. Bookmark the permalink. Your little Christmas mincemeat pies look delicious. 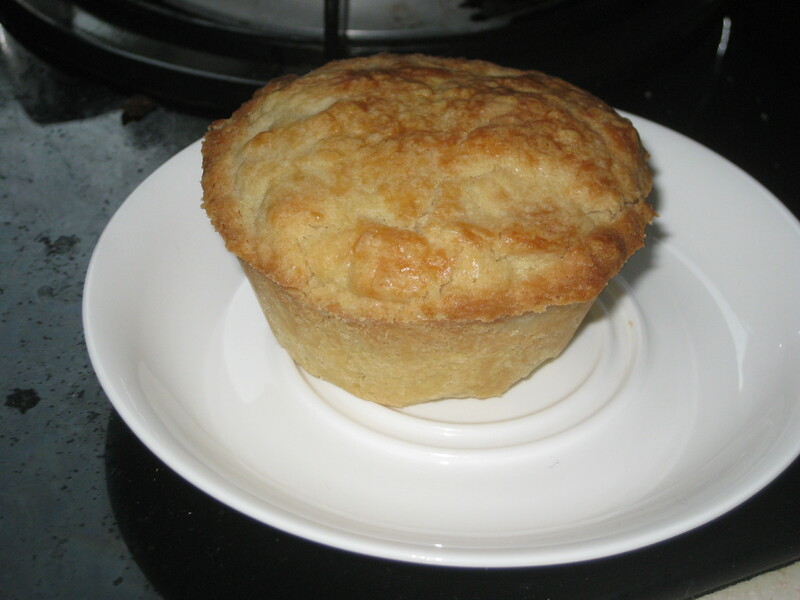 I just made and posted about a regular size mince pie. It’s nice to know that someone else loves mincemeat like I do. I’ve never heard of a full size mince pie, that’s an intriguing idea!